Authorities are asking for the public's help to identify and locate the subject responsible for an armed robbery at a Philadelphia bank Friday night. PHILADELPHIA (WPVI) -- Authorities are asking for the public's help to identify and locate the subject responsible for an armed robbery at a Philadelphia bank Friday night. 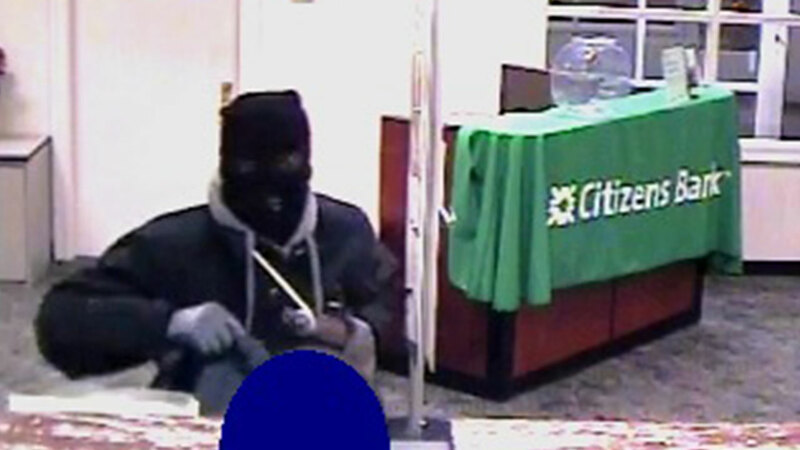 The incident occurred just before 7 p.m. Friday at the Citizens Bank branch located on Rising Sun Avenue. Police say the subject entered the bank and approached the teller counter where he verbally demanded money while flashing a rifle. After obtaining an undisclosed amount of cash, the suspect fled the scene through a hole in the chain-link fence in the bank's parking lot. The suspect then headed west through the parking lot of a former Pathmark store. The subject is considered armed and dangerous. Anyone with information about the robbery or the suspect is asked to call the FBI/PPD Violent Crimes Task Force at 215-418-4000.